Artificial Intelligence (AI) is the ability of computer systems to perform tasks normally requiring human intelligence, such as visual perception, speech recognition, decision-making and translation between languages. Currently, AI is one of the biggest trends shaping the world. 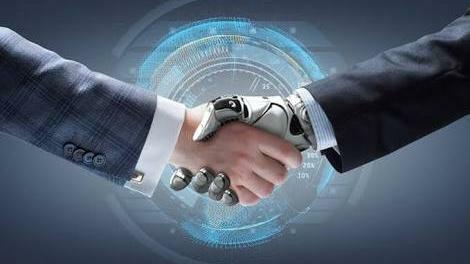 Some of the biggest names in technology including Google, IBM, Facebook, Amazon, and Microsoft joined forces to launch the “Partnership on Artificial Intelligence to Benefit People and Society,” a project intended to guide the course of future AI development. Huawei, another global technology giant, is also committed to driving the future of AI. The company is reportedly planning to launch the world’s first AI chipset for mobile devices. According to Huawei’s AI expert Baofeng Zhang, future AI devices should be able to perform deep and lifelong learning of user behavior patterns so that they can predict user needs and respond in real time. South Africa is also evolving with the times and slowly South Africans are using AI technology in their daily lives. The Centre for Artificial Intelligence Research (CAIR) is a South African national research network that conducts foundational, directed and applied research into various aspects of Artificial Intelligence. Cape Town-based tech company Solution House Software has launched an Artificial Intelligence programme which maps out potential crimes before they happen. This is done by studying where certain crimes occur, and what time of day they are most likely to happen. A South African firm called CLEVVA has crafted virtual advisors, powered by AI and used in sales fields to train and guide sales representatives. In a report called ‘AI, is SA ready?’ by Willie Schoeman, Rory Moore, Yusof Seedat and Dr Jeff Yu-Jen Chen it estimates: AI will create a market worth over $35 billion by 2025 and double annual economic growth rates, promising a future of robots and humans working together armed with near-unlimited processing and algorithmic power. Akhram Mohamed, Product Marketing Director at Huawei says that AI is still in its infancy. He believes that South Africa and the rest of the world has its share of excitement and skepticism around the possibilities of this technology. He says, “Technology innovators are always looking into ways of improving peoples lives. “Making lives better and safer through the use of technology has been a key driver. We are already using AI to a large extent, websites, search engines, social networks etc use AI to offer a better user experience however we don’t often notice it”. “In the future we could see AI play a larger role in more tangible areas such as health, education and finance to improve efficiency thereby improving lives, concludes Akhram.